Tackles an Array of Pests, Including Spider Mites, Thrips and Fungus Gnats. Grow room pests are an issue that you need to avoid at all costs. A handful of stray bugs can quickly turn into an infestation, and once this happens, it won't be long before your plants start to incur lasting damage that will inevitably reduce the size and quality of your yields. 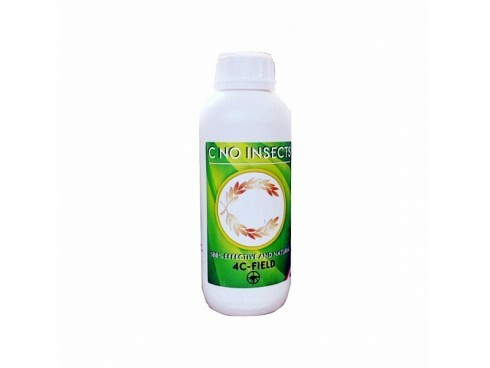 C-No Insects 4C-Field ensures that this is never a problem by taking out an array of grow room bugs, safely and naturally. How C-No Insects Works - There's a huge range of products out there that are formulated to tackle troublesome grow room pests. Unfortunately, many of them contain ingredients that are often less than desirable. If you want to produce the very best possible end-product, then you need to kill pests with a spray that's as natural as possible. 4C-Field gets the job done in style, and all without using nasty chemicals. Instead, it utilises statically charged ingredients to kill off spider mites, thrips and fungus gnats, amongst others. 4C-Field is even highly effective against mildew, bacteria and viruses, making it a great all-round preventative. 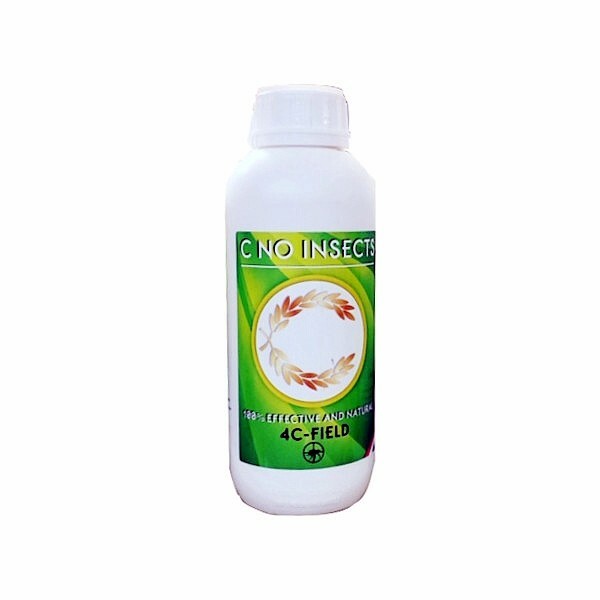 How to Use C-No Insects - Always make sure that you shake the bottle before use. 4C-Field doesn't need to be mixed with water; instead, add it to your spray bottle neat. Spray both the tops and bottoms of leaves 15 minutes before your lights are due to switch off. Plants can be sprayed up to 2 weeks before harvest. After this point, use of 4C-Field must be stopped. It should be noted that the minerals contained in 4C-Field may leave a slight residue, but this is nothing to worry about.